We all tend to think of a brand in the narrowest of terms: the brand of jeans we wear, sneakers we walk in, cars we drive, well the list goes on and on. Our mental image of a brand is one item to one brand name. Plain and simple. But really, there’s a lot more to it than that. Take those jeans for instance, there are likely a number of styles within the brand. Skinny jeans. Slim fit. Raw denim. And it doesn’t matter which choice we make within the brand family, we’re still following the brand. However, when we think about developing our own brand — or writing platform — somehow we end up trying to narrow our writing to fit a very tiny rigid space. So, we end up feeling like that square peg being driven into a round hole. But building a strong brand as a writer doesn’t have to pigeon hole us. Instead, a strong brand can be liberating. In the past, authors ended up with writing platforms and brands that stuck them in a particular genre. For example, Margaret Atwood is a literary writer — thus her science fiction writing can’t be labelled as SF, but as literary writing. And of all the SF novels I’ve read, Oryx and Crake , by Atwood, made me question some of my ideals more than any other book. Many other authors were hammered into specific genres and had to use pseudonyms to write about other things. Take Lewis Carroll, author of the classic, Alice in Wonderland: The Complete Collection (Illustrated Alice’s Adventures in Wonderland, Illustrated Through the Looking Glass, plus Alice’s Adventures Under Ground and The Hunting of the Snark) . In his “other” life he was Charles Lutwidge Dodgson, mathematician, deacon, and photographer. But times have changed, baby, and we’re no longer stuck defining a brand as a genre. That’s not to say that if you’ve already written a few dozen Gothic romances over the past few decades that you don’t already have a brand as a Gothic writer — and rebranding is another whole story. If writers weren’t “branded” by genre, they were often branded by their audiences. Children’s writers wrote for children. Nonfiction writers wrote for readers looking for information. Well, you get the picture. Or, writers were branded by their training. Journalists fell into a few brands like news reporting or ferreting out the story behind the story with investigative reporting and later, bloggers wrote about whatever inspired them. Academic writers had degrees and wrote in areas related to them. Nowadays, though, with the Web being such an easy place to publish, brands are becoming more like that fleet of vehicles your favorite manufacturer builds. From trucks to crossovers to cars, most of them have something to suit everybody. That’s what writers can do these days too, providing they spend some time deliberately thinking about how to build a brand. But how, you ask? How do you bring “I want to write about everything” to a manageable brand that you can package with a single website or blog and only one or two accounts with your favorite types of social media. I recently had a student in my online course, Introduction to Internet Writing Markets, provide a list of all the things she wanted to include on her CV (curriculum vitae or writer’s resume) and pitch to editors. It included such things as: pets/animals, health and fitness, home decor, managing a budget, time management, stress management, parenting, and volunteering. Whew! That’s a lot of things to try to pull together under a writer’s platform, isn’t it? Where would all of these topics land in a traditional newspaper that covers a lot of topics. In the Lifestyles section, of course. Beyond newspapers, you’d also find each topic in specialized publications, with a different level of information. Writers can do the same thing when branding. If a writer is mainly interested and qualified to write about home decor, then that can be her brand. But if a writer has experience and knowledge in a number of these areas, she can become a lifestyles writer. 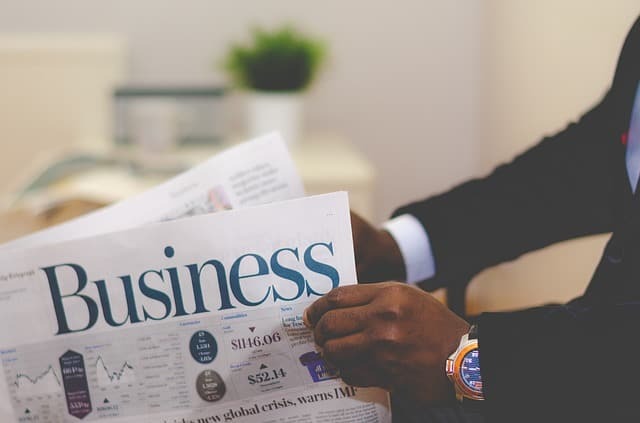 There are a number of other key topics we can bring over from traditional publishing: business writers, sports writers, outdoor writers, political writers, entertainment writers, medical writers and more. All of these umbrella words allow a writer to branch off into dozens of subtopics. The outdoor writer, for example, can cover everything from hiking and cross country skiing, to gear and clothing, to teaching kids how to ride a bicycle and eat healthy on a camping trip. But this is just a starting point. Now the tough work begins. In order to stand out from the thousands (specialized writers) or millions (generalized writers) of writers already publishing related articles on the Web, you need to come up with your own particular slant on things. I did a survey of 14 travel bloggers awhile back and asked each of them how they differentiated themselves from others in the field. They provided lots of insights into how to go about doing just that! From gathering a full career of being a travel writer and journalist with three separate websites into a single online presence and very strong — and unique — brand as a chocolatour, like Doreen Pendgracs, to “letting her personality shine through” like Ana Dominguez does on The City Sidewalks, there are many different ways to go about finding that slant to make yourself stand out. While there are lots of ways to do this, there are a couple of methods I prefer. I’m a big picture person, so I need to see it all laid out at once in order to get a real “feel” for what I’m doing. For me that can be anything from brainstorming a huge mindmap of everything I want to create to sifting through my files (virtual and paper! ), writing down titles and ideas and subjects that pop out. In fact, that’s how I came up with my personal tagline for my travel blog at guide2travel.ca: Sustainable travel adventures with a twist of history. 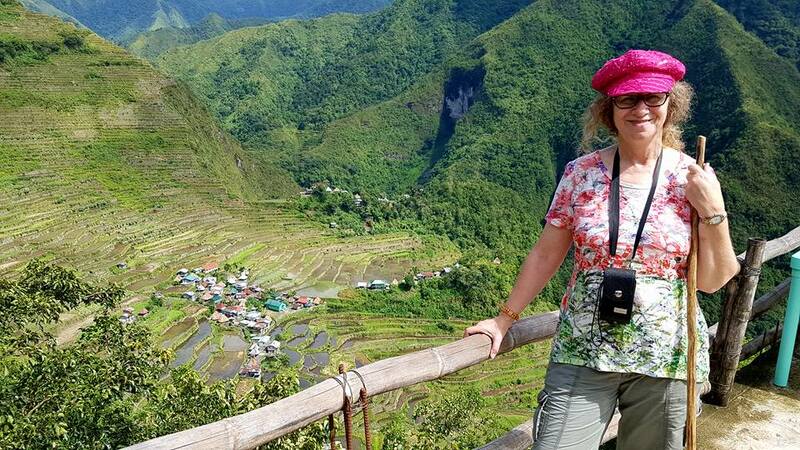 Linda Aksomitis hiking at the UNESCO Banaue Rice Terraces in the Philippines. When I actually looked for the common elements in my writing (or the majority of it), there was always a connection of some sort between the topic and its history. I’d already realized over a decade ago that even on travel adventure trips I took, that I needed to toss in a museum or two and an exploration of the area’s historic elements, be they buildings or parks, before I could actually find the story I wanted to tell about the destination. I’ve written 30+ books about snowmobiles, libraries, the old west, polio, Saskatchewan, and well, a few other things that don’t have much in common either. However, running through them all is the historical thread that ties my approach to them all together. And voila, that all connects to my travel writing! For you, your writer’s platform may be something different. List all of the major things you’ve done in the past year. Purchases. Vacations. Home renos. None of those — how about your daydreams? If you had to pick one thing that tied them together, what would it be? Another method I’ve found useful for helping me define my brand is to look at my actual “writing” or the way I put words on paper. I’d love to write humor, but sadly, that’s not in my grab-bag of talents. Witty writing would be ever so cool, but sigh, that’s not my forte either. I do, however, like writing that’s vivid and full of detail — mind you, I also like to use visuals to fill in a lot of those too. In fact, my travel writing revolves around my photography. So have a couple of my books, including L is for Land of Living Skies: A Saskatchewan Alphabet (Discover Canada Province by Province) , that had a professional artist for an illustrator. Luckily, though, I was able to provide her with photos so many of the illustrations are a direct take from what I visualized. What about you? Do you like to play with words or excel at innuendo or have an authentic Southern accent? Would it work to carry it throughout all of your writing, or leave that aspect of your career as flexible as need be? The good thing is that when you’re building a brand you don’t have to label everything about what you do. That running shoe manufacturer comes up with new twists on design every time fashion and technology change. So can you. The most important things that brands do to establish their “brand” is to spread the word. Traditionally that meant an advertising campaign. Nowadays, though, there’s social media and content marketing to help spread the word and build a brand for your writing. For novel writers, a great way to spread the word about your work is to hang out where readers are, whether that’s Kindle Nation Daily (check Arthur Slade’s summary of his ebook expenses) or GoodReads. However, there are lots of other great places that readers hang out on the Internet — communities and websites with short stories, flash fiction, and serials available to read for example. As well as benefiting readers by providing great content, these sites benefit writers by providing places for them to build a brand and a readership. It’s even better for nonfiction writers, whether they’re bloggers or book writers. There are literally millions of markets ranging through non-paying, low paying, right to high paying. Think how much more quickly you can build a brand for your blog or book if you publish a few dozen pieces in other places around the Web. Just think of all the different readers who will read your work! 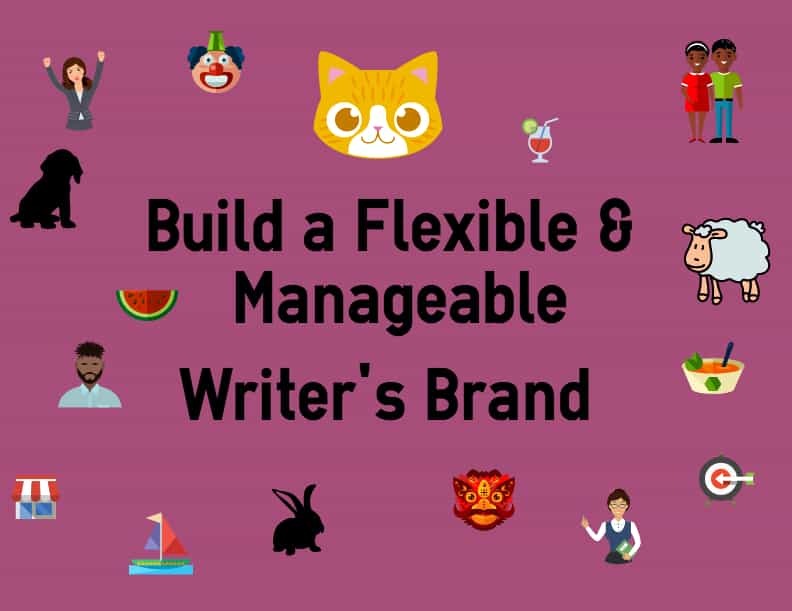 If you’d like to learn more about building your brand as a writer — and go through a dozen assignments to help you explore your writing dreams — as well as earn some money while you do it, join me online in my course, Introduction to Internet Writing Markets. It’s offered around the world through community colleges and libraries. You can find a college or register online here. Click here for the course syllabus — there’s a new section starting on Wednesday, February 15. NextMyth or Fact: Does Amazon Own My Ebook When I Publish On Kindle?